It was our third day in Malaysia. Last night was a tiring one so we’ve decided to skip our Cyberjaya tour on our Day 3, instead me and my friend Aphol decided to wake up early so we can go to KL Tower before we go to Singapore. Unfortunately, we woke up late. Our flight to Singapore is 12:00 PM and we were able to get up from our bed at around 8:00 AM. So we hurriedly bathed and fix our things. And I can see another amazing race here to the airport! It was already past 9:00 AM when we checked out from the hotel. We need to get to the KL City Air terminal by 9:25 AM because we have a train to catch scheduled to depart at 9:33 AM. From China Town Inn hotel, we hurriedly went to Pasar Seni Station going to KL Sentral. And from there is the KLIA transit to LCCT. After all the haste we had, unfortunately we missed it, the train door was already closed when we arrived. 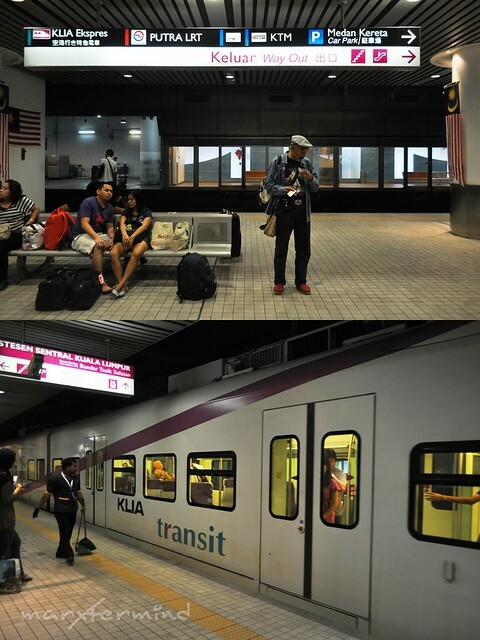 We could have make it if I and some of my companions have not been lost and headed to the wrong station, the KLIA Express. So just so you know, it’s different from the KLIA transit. Ticket cost RM 12.50. You can see at the look of my friend’s face that she’s a bit pissed off of me because we missed the train. I know, it’s my fault! Then, we waited for another 30 minutes for the next train to arrive. It was already 10:03 AM when the train departed from the KL Sentral. There were only few passengers at that time. So far it was the best train I ever rode to. The seat is comfortable and it was spacious. We alighted at the Salak Tinggi station and from there we rode a shuttle bus to LCCT. The shuttle bus was already included in the KLIA transit ticket. 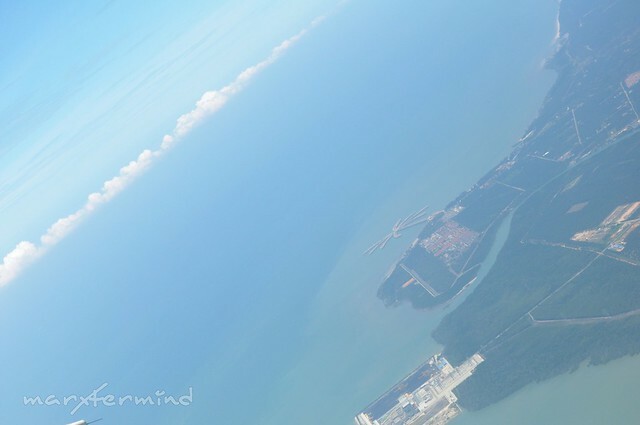 It was 15 – 20 minutes ride from the station to LCCT. It was already 10:45 AM and I was really praying that we can make it to the baggage and documents check counter (good thing I already web checked in our tickets). Since our flight is at 12:00 PM, the counter will close at 11:10 AM. When we arrived at the LCCT, again we hurriedly walk and ran going to the counter. We only had 10 minutes left and when we arrived at the counter there was a long queue for Air Asia! I went to the counter and asked the staff if what option do we have for us since we’ll be late for our flight. She told us to wait. Then my friend asked her again and she told us that she can’t just cut the line for us but we insisted that we’ll be late for our flight and we only had few minutes left. She asked the other Air Asia guy to accommodate us. 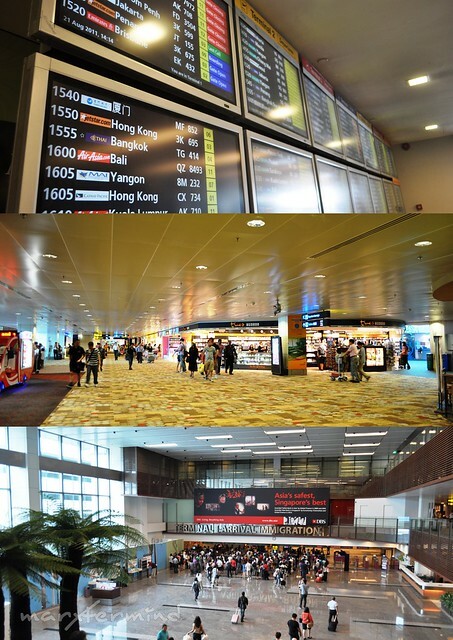 So they opened another counter for passengers bound to Singapore. What a relief! It was already boarding when we got to the gate. By the way, what I didn’t like about LCCT is there was no shuttle to take you to the plane. You need to walk, walk and walk! That’s what you get from a Low Cost Carrier Terminal (LCCT), isn’t it? At 12:00 PM, the plane departed bound to Singapore. Good thing I was located at the window seat. I noticed this tree-like area near the sea. I wonder what it is. We all knew there was a queue but our group were talking of some stuff just to kill the boredom. In that instance, we were not able to line up properly. We’re already next in line and then there’s this lady officer came to our queue. She asked for the paper (the one needed to be filled up), and I shown mine. She asked me why I didn’t write anything on the Singapore address field (sarcastic tone), and I said I forgot, so I wrote where we’ll stay. Then I proceeded to the counter for passport check. You can feel the tension whenever you get to the immigration counter because the officers barely speak. Also because of some bad stories I’ve heard lately with regards to immigration. Good thing, I passed the immigration. When we’re all done, the rest of my friends told me that they were told (scolded) by the lady officer that they needed to straight up their line, they were not in the Philippines. My friends could have accepted it but by saying that they were not in the Philippines was something that annoyed us. My friends may also have fault on that instance (because of not lining up properly?) but hearing what the lady officer told them was just annoying. It was already past 2:00 PM and we were already behind our schedule. We ate our lunch first at the airport before we headed to our hotel. We also had our Philippine Peso and our remaining Ringgits exchange to Singaporean Dollar at the airport. 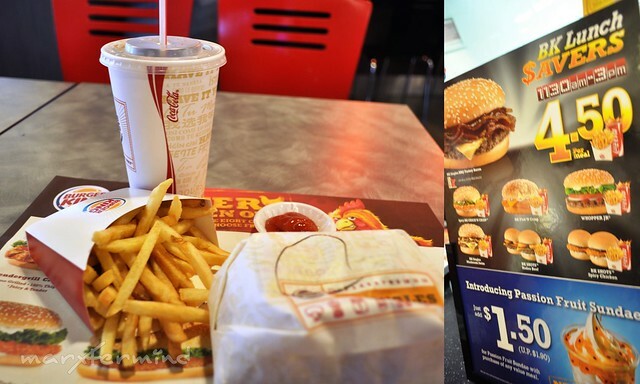 Since we’re already famished, we had our lunch to the first fast food we saw, Burger King! Good thing they have this BK Lunch Savers. I was able to save a few bucks. After lunch, we proceeded to Terminal 2 to get to the MRT station. 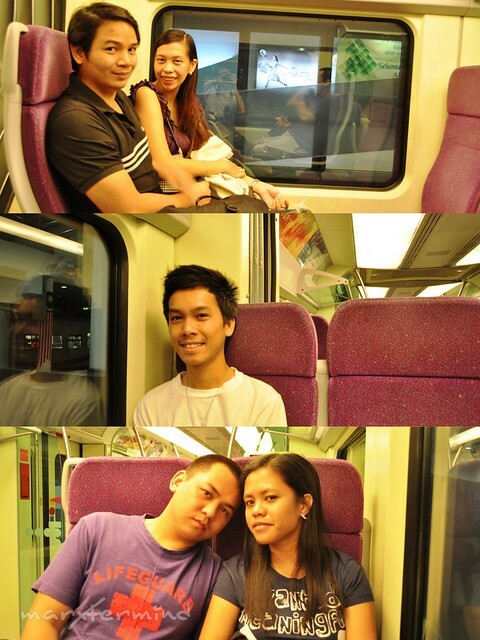 We purchased standard ticket going to Geylang Station. Okay, we spent almost half an hour purchasing the standard ticket. We were on Changi Airport station, so expect all of the people purchasing the ticket were tourist. So it really consumed a lot of time for each to purchase one. It took us about 10 minutes to get to Geylang Station. Geylang is a red light district in Singapore located at the east of central area. Hotels in Singapore are very expensive, so it took a lot of time for me to find a good and affordable hotel. My office mate told me that there are also transient in Singapore. But it was too late for me to know since I already booked a hotel room in Fragrance Hotel through Agoda. Fragrance Hotel has a lot of branches in Singapore. Because I travel cheap, I looked for the cheaper rates. There are 3 – 4 Fragrance Hotel located at Geylang area, if I’m not mistaken. So I booked the one near the MRT station, which is the Fragrance Hotel Ruby. The hotel bookings through Agoda cost PHP 4,948.07 for standard room for 2 nights. I actually booked another room for the three of us for one night but it was canceled by the hotel since I wasn’t able to submit my credit card details. So we’ve just decided to get room when we get there, so that’s what we did. We will only spend 2 days in Singapore but we booked the other room for 2 nights so we can have room to leave our things while were on tour and we can actually take a bath and freshen up before we leave for our midnight trip back to Malaysia the next day. 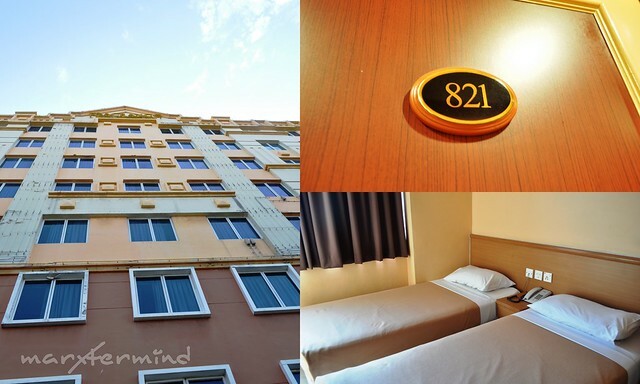 The hotel is 5 – 10 minutes walk from the MRT Geylang Station. When we arrived there, we presented our Agoda voucher for my two companions. Then we asked if there’s available standard room for the three of us. The reservation officer told us that the room is small for us which has only two beds but we told her it was OK with us. Then, she agreed and gave us our key to our room. The room cost SGD 73.00 for one night, we were able to save a few bucks again! The room was really small, but I can live with that. Otherwise, the room and toilet was clean. There’s hot and cold shower. Blower and electric water heater are available in the room. There’s also free 2 bottled mineral water. It was already 4:00 PM. We have no time to waste so after we dropped our things, we started our tour in Singapore. Hard to travel in big groups. Making an itinerary for a group is difficult much more to a place you will be visiting for the first time. your friend should have been more understanding when you missed the train. Sharing the some tour tips being looks for really wonderful. I known many task news collection from here! With every tour peoples are watch for these news. so dapat talaga ieexpect ko na ang hysteria sa immigration pag nag SEA trip ako ganun?hahaha! OM! kailangan ko ng magmemeorize ng script. hahaha! Ano ba yan.. kelan ba mawawala ang image ng pinoy abroad. Nakakalungkot. Aberya mode ang biyahe mo a. Dapat lang maabot ni Singapore ang expectations mo para sulit ang pagod. Hehehe! BK saved the day! hahah!